Durham VW is the Cary Volkswagen dealer you want to shop. If there was such a thing as the ideal small town in which to raise a family, Cary would be it. Located in the middle of the Research Triangle between Raleigh, Durham, and Chapel Hill, Cary offers the peacefulness of suburban life convenient to all the amenities of the city. Tree-lined neighborhoods with sidewalks, shopping centers with the necessities, office parks, emergency services, medical facilities, and more are all at your disposal. If you’re looking for car dealerships like a Cary Volkswagen dealer, nearby Durham Volkswagen serves the Triangle, offering extensive inventory and great prices. You’ll have everything you need and want in a safe community. Why is Cary considered to be such a great place to live? There are many factors that put Cary in the top 100. Job opportunities. The Research Triangle offers lucrative career opportunities in the medical and scientific fields. Being in the center of 3 major cities offers a variety of other careers as well. High average household income. The median income for Cary residents in $120,000. Top ranked schools. Cary is part of the Wake County public school system, which is ranked high in the state and nation. Several private and charter schools in the area offer a variety of opportunities for elementary, middle, and high school students. Institutes of higher education close by. University of North Carolina at Chapel Hill, North Carolina State, and Duke University NC Central along with many other colleges in the area offer educational opportunities for higher learning and contribute to the Research Triangle. Superior quality of life. Beautiful neighborhoods, 30 public parks, and 82 miles of trails in the area offer enjoyment, recreation, and exercise. Safety. 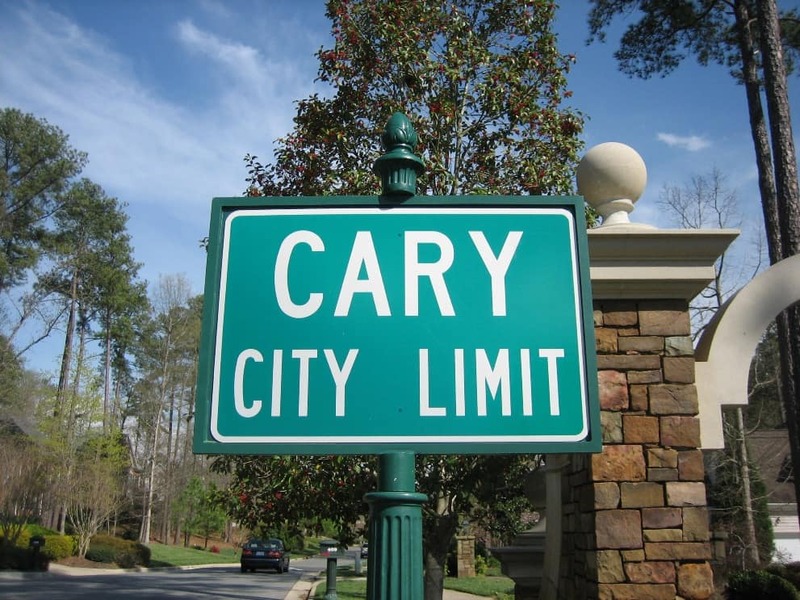 Cary has a low crime rate, making it a safe place to raise a family. If you’re visiting, stay at the Mayton Inn and experience the history of Cary in a luxury room. The Cary Arts Center offers visual and performance art with additional opportunities to experience the arts in the nearby cities of Raleigh and Durham. Throughout the year there are various cultural festivities such as the Jewish Cultural Festival, Kwanzaa, and the Festival Ritmo Latino. Many different cultures come together in Cary, creating a rich, diverse community. You’ll find a range of housing opportunities in Cary from apartments and housing for rent to single family homes and luxury custom home communities. Although Cary is a highly-desired town, the average cost of living is just a bit higher than other towns of its size in North Carolina. However, compared to similar areas in other states, Cary is quite affordable and offers advantages that other areas don’t such as stellar educational and career opportunities. There’s a reason northerners keep moving south, and it’s not just the BBQ and sweet tea (though those are two good reasons). The mild winters, warm springs and falls, and hot summers make the Carolina Coastal region so popular. Normal average rainfall, below-average snowfall, yet all four seasons still occur. Dig yourself out of a snow-drift and come down south where the sun is shining. The small-town atmosphere is alive and well in Cary. The crime rate is one of the lowest in the state. The police, fire, and rescue departments are nationally accredited. The town strives to keep neighborhoods, common areas, and businesses well-groomed. When citizens take pride in their community and have their needs met, a town thrives. Cary is absolutely thriving. The population is booming in Cary, with more people moving to the area monthly. Career opportunities and quality of life bring people of all ages, especially families with children, to the area. Such fast growth has posed a challenge to the town, but city officials have handled and continue to handle the expansion with a positive outlook and strategic planning for the future. Cary strives to maintain the small-town sense of community even with a budding population. Cary is a definitely an ideal area for businesses. Whether you’re looking for a car dealership close to Cary, NC, or a certain store or restaurant, you will find anything you need in Cary or the surrounding area. Durham Volkswagen, serving Durham, Raleigh, Chapel Hill, and Cary, offers great deals on new and pre-owned Volkswagen vehicles as well as used vehicles of a variety of makes and models. New businesses thrive in Cary because of the highly educated, highly paid residents who live in and support the area. Well established businesses continue to succeed due to their years of hard work and excellent customer service. One of the best results of the popularity of this community is the benefit to the local economy. All industries experience the positive effects, from Cary Volkswagen and other car dealerships to retail stores, restaurants, household services, and more. Durham Volkswagen serves Cary and the entire Triangle area, providing new and pre-owned Volkswagens, Toyotas, Hondas, and other used cars of various makes and models, affordable financing options, and stellar service. Browse current inventory online, visit the dealership at 3823 Durham-Chapel Hill Blvd, or call (919)493-7411. Visit the area and see for yourself the high quality of life and opportunities that Cary, NC, has to offer. Then make it your home.